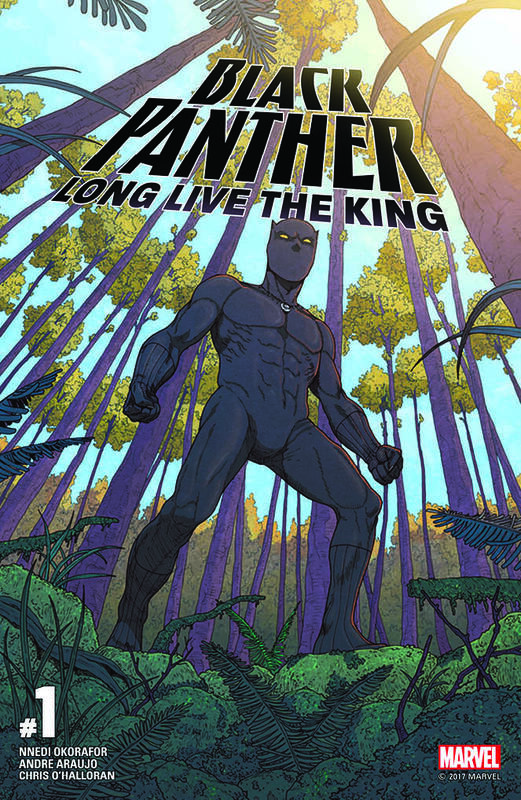 Black Panther: Long Live The King #1 Now Available Exclusively on comiXology! Marvel Entertainment and comiXology, Amazon’s premier digital comic shopping & reading service, debut the next exclusive comiXology Originals digital comic series Black Panther: Long Live The King, a 6-issue bi-weekly series written by Nnedi Okorafor, winner of the World Fantasy, Hugo, and Nebula Awards (Binti, Who Fears Death), and illustrated by Andre Araujo (Spidey, The Wicked + Divine). Black Panther is on sale now for $2.99 on comiXology and Kindle as part of the comiXology Originals line of exclusive digital content and available to current subscribers of the popular comiXology Unlimited service. New subscribers to comiXology Unlimited can also enjoy it for free as part of their 30-day free trial. Black Panther joins The Immortal Iron Fists and Thor Vs. Hulk: Champions of the Universe, as well as the recently announced The Avengers with more exclusive Marvel series to be announced. 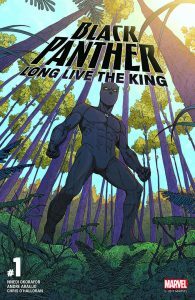 A perfect entry point for new fans and longtime readers alike, Black Panther: Long Live The King is an adventure set in the world of Ta-Nehisi Coates’ landmark Black Panther run and told in the Mighty Marvel Manner! As the Black Panther and an Avenger, T’Challa has had to save the world time and again – but those duties pale in comparison to his responsibilities as king of Wakanda. As the nation rebuilds in the wake of revolution, T’Challa finds his people besieged by a massive monster tearing through the country, leaving a trail of destruction in its wake!